6 Months ago we started the North End barrel aging program when we took receipt of two Bordeaux barrels that were formerly used to age red wine at the Te Mata Winery in the Hawke’s Bay. One of the barrels was inoculated with a blend of ‘wild’ yeast and lactic acid producing bacteria and filled with a red ale brewed specifically for the task while the other was inoculated with just the wild yeast brettanomyces and filled with our historic burton ale Southerly Front. Since then the barrels have sat in our brewery space, getting in the way of construction and presenting an invigorating set of lessons on the right and wrong way to construct barrel racking. Now in preparation for the Greater Wellington Brewday Festival we have drawn and blended some of the beer from these two barrels. The style of beer we are aiming to make with these first two barrels is a Flemish sour red ale . Flemish Reds are like the sherries of the beer world using long aging in oak barrels , a degree of oxidation and wild yeast and bacteria activity in the barrel to create a complex fruity result. Classics of the style include Rodenbach Grand Cru and Duchess de Bourgogne. These beers are certainly an acquired taste but once you ‘get’ them their sweet / sour , tart fruity character is addictive and they make an amazing companion to food. 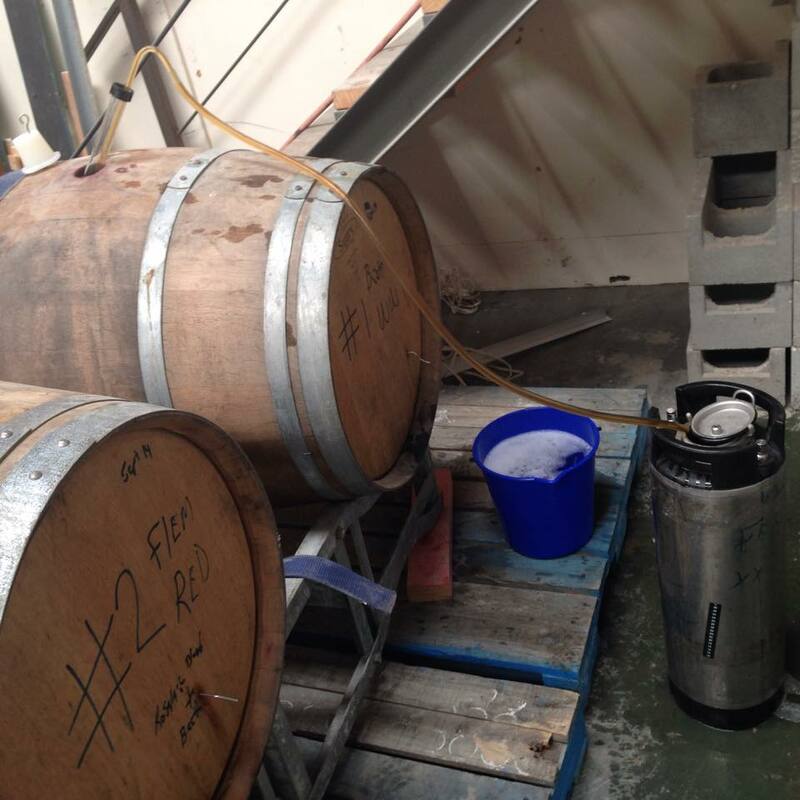 So last weekend my new assistant Luke and I cleaned and sanitised a bunch of 20L corny kegs. We took samples from the two barrels and blended some different ratios to determine a blend that tasted good. Then we racked 60L from one barrel and 20L from the other and blended the two together. One keg was carbonated quickly as we were desperate to taste the result while the other three will slowly carb up to be served at the festival. After we had racked the beer we topped the barrels back up with more beer to keep oxidation levels down by keeping the barrels full and to keep our stock of aging beer up. This method is similar to the solera system that sherry producers use. This ‘first pull’ from the barrels is very young for a Flemish Red however we are extremely happy with the result and a rigger of the beer disappeared quickly alongside some amazing Mexican Carnitas the night we had kegged it. Eventually this beer will be bottled and released as North End Grand Cru and in reference to this young example we have named the first pull Baby Grand. 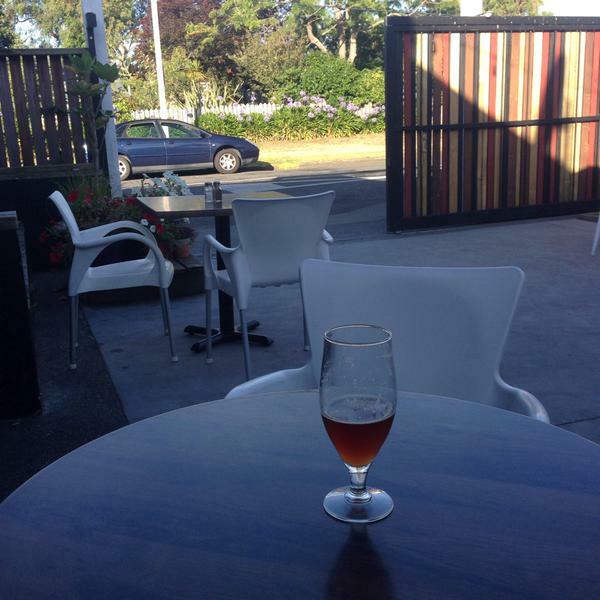 Look out for Baby Grand at Brewday 2015!